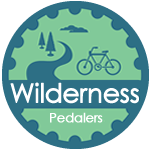 The Wilderness Pedalers established as a 501c3 nonprofit organization in 2015. Our purpose is to develop safe bike trails that connect the communities of Presque Isle and Winchester to the Heart of the Vilas County Bike Trail, a 45-mile off-road paved trail system linking multiple Northwoods' communities. The Pedalers are also guided by a master plan that further develops looped trails and routes within Presque Isle and Winchester. Contact Us to Learn More. Designated bike route on public roads. Mostly flat with a few hills. Route is signed. Hilly trails with fast and flowy single-track, technical downhills, berms and bridges. County highways, paved bike trail, and secondary low-traffic roads. The Wilderness Pedalers are dedicated to connecting Presque Isle and Winchester to the Heart of Vilas County Bike Trail System. Phase 1 is to begin at CTH W and CTH B in Presque Isle, and is expected to follow the northwest side of CTH W right-of-way to the intersection of CTH W and CTH P. This portion will be ~3.75 miles of black-topped, off-road trail with 1,250 feet of elevated boardwalk to avoid wetlands impact. Sections of the trail deemed feasible, will be shared with our area SnoBunnies Snowmobile Trail Club. In Winter 2017, we mailed informational brochures seeking donations. To date, you have donated over $50,000. These monies are enabling our Club to secure professionally engineered feasibility studies (Summer 2018). These studies are necessary for our trails due to narrow right-of-ways and to the greater degree of waters and wetlands present along our roads and trails. Funds are needed on a continual basis, with a large giving campaign to kick off trail construction in the near future (date TBD). The Wilderness Pedalers annually support events, including the Solstice Festival and Presque Isle Days. Additional group rides are scheduled throughout the season. Contact the Presque Isle Chamber for More Information. Century and Half-Century Riders start their ride traveling Winchester and Presque Isle roads, and will visit us for your 1st rest stop The Pipke Park Pavillion will have food and drinks, and bathrooms too! Enjoy silent sport activities at the beautiful Pipke Park in downtown Presque Isle, including SUP and Kayak demos, bike rides, nature hikes on our Wilderness Trail, and much more. The Wilderness Pedalers board meets monthly the 1st Wednesday of the month, 9am at the Presque Isle Community Center. All are welcome to attend. Meeting days/times occasionally change. Please contact President Denny Breitholtz to receive notifications. Presque Isle's rich history includes booming logging days, vacation resorts, sportsman's traditions and more. History reports that nearly 300 years ago, two French priests, leading a missionary expedition through unchartered waters, were shipwrecked and marooned on the shores of Lake Superior. The party pitched their camp at the mouth of a river and survived the winter. During the spring thaw and high water, they found themselves on "Almost an Island." They christened the river "Presque Isle." In later years, peoples traveled upstream to the headwaters and found our largest lake, beautiful Presque Isle Lake, and soon the whole area became known as Presque Isle. As it is today, our township, with 77 square-miles and over 80 lakes, translated from the French words is truly "Almost an Island." With over 21 islands, our second largest lake, Crab Lake, is acclaimed by many to be the most beautiful in the state. The Presque Isle area is on top of the watershed - high on the divide - and with our elevation up to over 1800 feet, we enjoy many of Nature's privileges. Winchester is located in the northwest corner of Vilas County, bounded by Michigan’s Upper Peninsula to the north, Iron County to the west, the Town of Presque Isle to the east and the Town of Manitowish Waters to the south. Winchester covers over 34,000 acres and is covered by lakes, with 34 named and 29 unnamed. Almost 80% of the town’s area is wooded, and we have more than 6,000 acres of public land as part of the Northern-Highland American Legion State Forest. Winchester is a small community most of the year, with approximately 400-500 permanent residents. Like many towns in the Northwoods, the summer population rises to approximately 3000 seasonal residents. The area is perfect for summer activities like fishing, boating, biking and hiking.